They can help boost tourism and take some of the load off of a city’s public transit system, but keeping a bike sharing program financially self-sufficient has proved challenging for many cities. So Portland is teaming up with Nike for its new bike share program with bicycles that can be locked up almost anywhere. 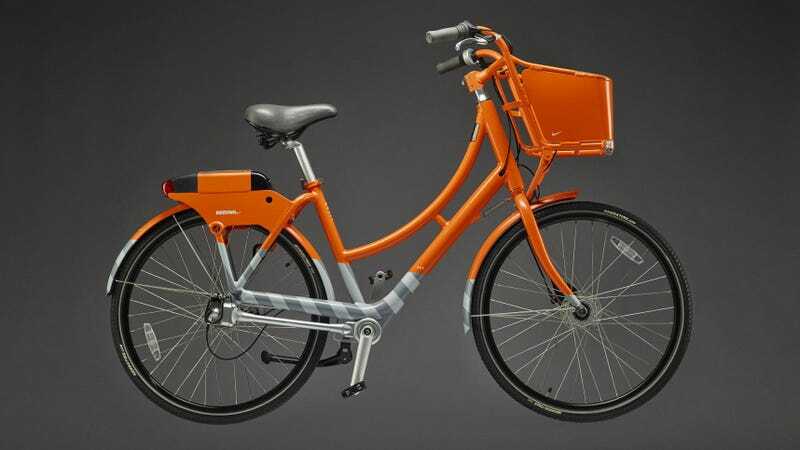 As part of the five year, $10 million deal, Portland will soon be packed full of bright orange bikes emblazoned with Nike and ‘Biketown’ branding. (Is it pronounced Bikey-Town?!?!) The city of Portland had initially hoped to put 600 shareable bikes on the streets when the initiative was first launched back in September, but with Nike’s support that will now grow to 1,000 bicycles accessible all over town. But it’s not just a big chunk of change from Nike that will help Portland’s new bikesharing program succeed where others have failed. The bikes it will be introducing in July are being manufactured by a Brooklyn-based company called Social Bicycles that integrates all of the communications, payment, security, and locking technology into the bike itself. So instead of having to hunt down one of those massive bike racks when you need a bike, or are returning one, the SoBi bikes can be locked up almost anywhere in the city. Their location is tracked via the hardware built into the bike, and once riders have found and reserved a nearby one to borrow, they can use its keypad and a special access code to unlock it. An annual Biketown membership will cost somewhere between $10 to $15 per month, and single rides will start at $2.50 for the first half hour. But given more traditional ride share programs have issues when it comes to keeping bikes evenly distributed across a city, it might be a smart idea for Portland’s systems to offer discounts or financial incentives depending on a where a bike is actually returned or locked up.